System performance and availability is crucial for business productivity and we have the perfect tool for you! 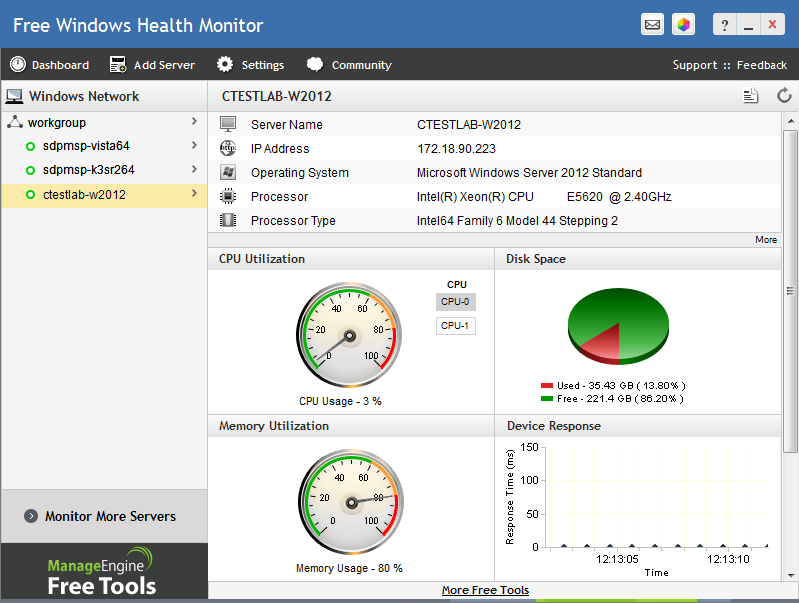 Windows Health Monitor tool is easy to use and monitors up to 20 servers/desktops simultaneously. 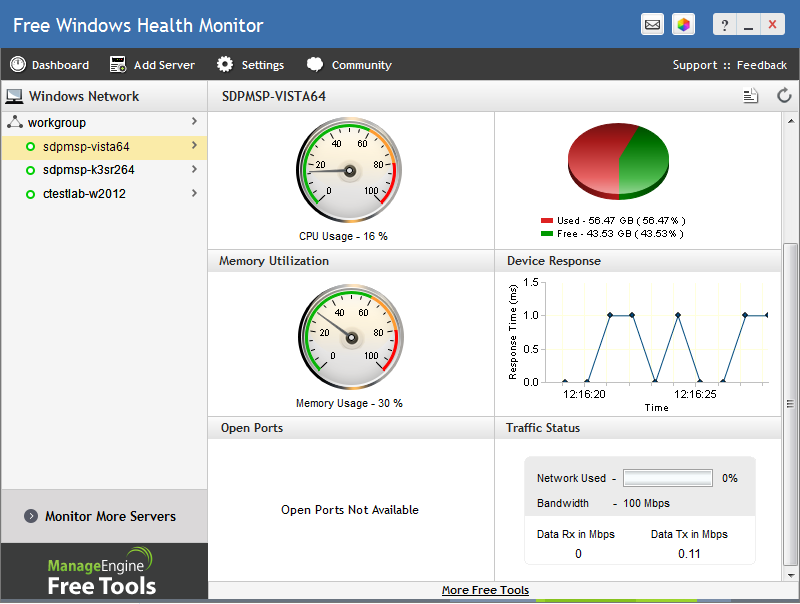 Alternatively, windows server monitoring can also be done on a large scale. 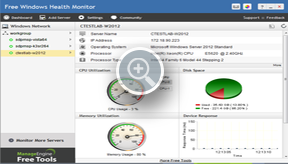 Check out the windows monitoring capabilities offered by ManageEngine Applications Manager. Monitor system CPU, memory, disk space, number of ports open, response time and network bandwidth utilization. Also view each system’s CPU usage in a server by selecting it. Track the response time of the servers/systems in an intuitive graph and ensure that the user doesn’t have to wait long to use an application. 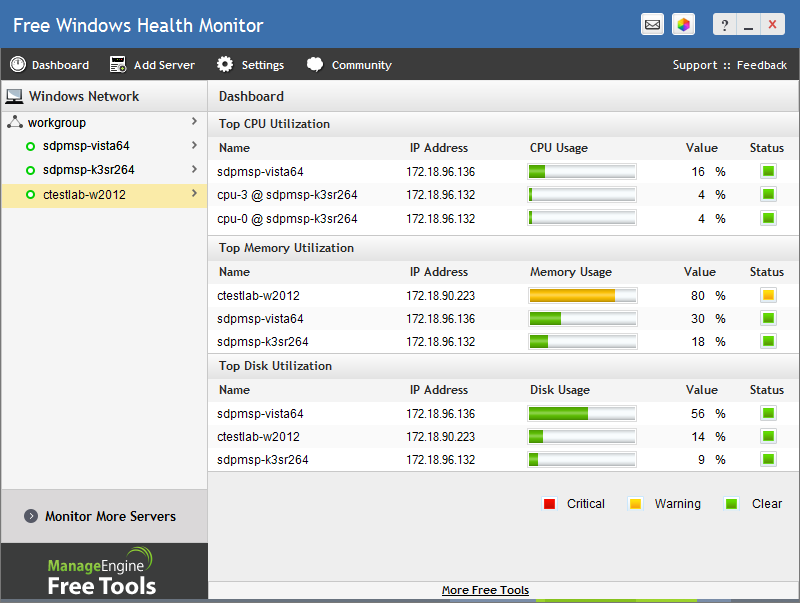 View top 3 systems memory, CPU, disk utilization along with their name and IP address details. Watch for color-coded alerts showing the systems with high resource utilization. Set warning and critical threshold values for CPU, disk and memory usage. View open ports in the selected server with its description. 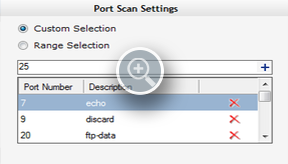 Configure the port scan setting by adding the port numbers which you want scanned or by specifying the from-port and to-port numbers that needs to be scanned. 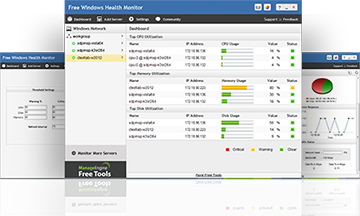 Windows Health Monitor scans all the ports in the specified range. 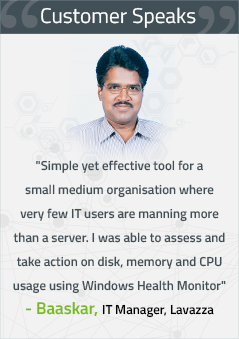 Generate reports for a particular server with CPU, memory, disk space, number of ports and bandwidth utilization. The report is available in PDF format. Trigger an email about the server status to your team by attaching the device performance screenshot as a report. 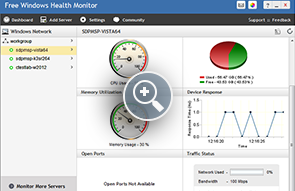 For in-depth server monitoring features, head to OpManager the best-in-class network and server monitoring software. 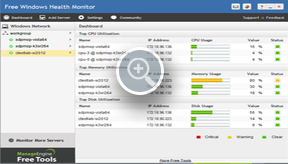 Real-time server monitoring and management. Server performance and availability monitoring. URL, websites and applications monitoring.